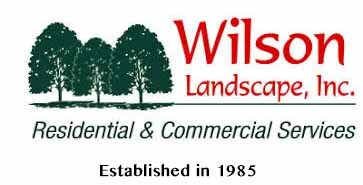 Parking Lot Sweeping | Porter Service | Wilson Landscape, Inc.
We provide complete parking lot maintenance and cleaning programs including parking lot sweeping and porter services for all your needs. Our services include hand blowing all walkways and sweeping of all parking lots and roadways. Sweeping your parking area on a regular basis could bring more revenue to your business. Well maintained parking areas and sidewalks are a key to attracting customers. Studies have shown that cleanliness ranks as one of the top factors in determining where people shop. Many people consider exterior cleanliness to be as important as interior cleanliness. In today's extremely competitive market, property managers cannot afford the tarnished image caused by cutting back on exterior grounds maintenance. Regular parking lot sweeping is a very important component contributing to overall outside appearance. Porter service for emptying trash cans and hand picking of debris. The outside parking areas are where business owners hope their potential customers will derive an initially favorable first impression. A parking lot cluttered with debris can take away from even the most beautiful landscaping. Sand, dirt and other trash are abrasive. They will shorten the life of pavement, as well as the service time of any seal coating, striping, etc. When dirt is allowed to stay on pavement, it quickly starts deteriorating the paving material. Replacement costs for pavement far exceed the routine expense of sweeping. 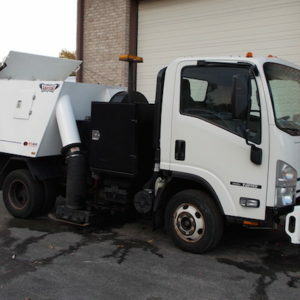 To learn more about parking lot sweeping or porter services, contact us today or call 815-725-7335. We service Joliet, Plainfield and many other communities in Will County and the surrounding area.